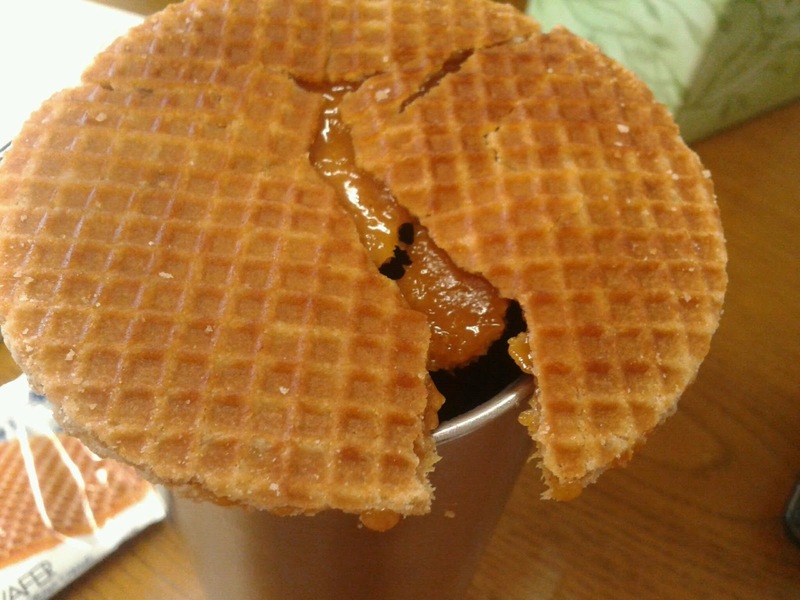 Off of the info I got from Wikipedia..a Stroopwafel is "is a waffle made from two thin layers of baked batter with a caramel-like syrup filling in the middle. They were first made in Gouda in the Netherlands, in 1784. 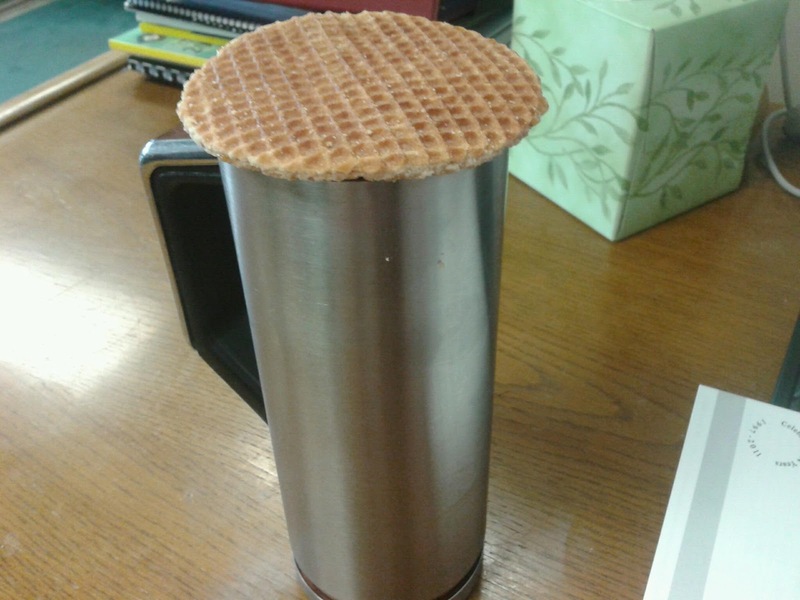 Large versions are sold in the streets as a snack." 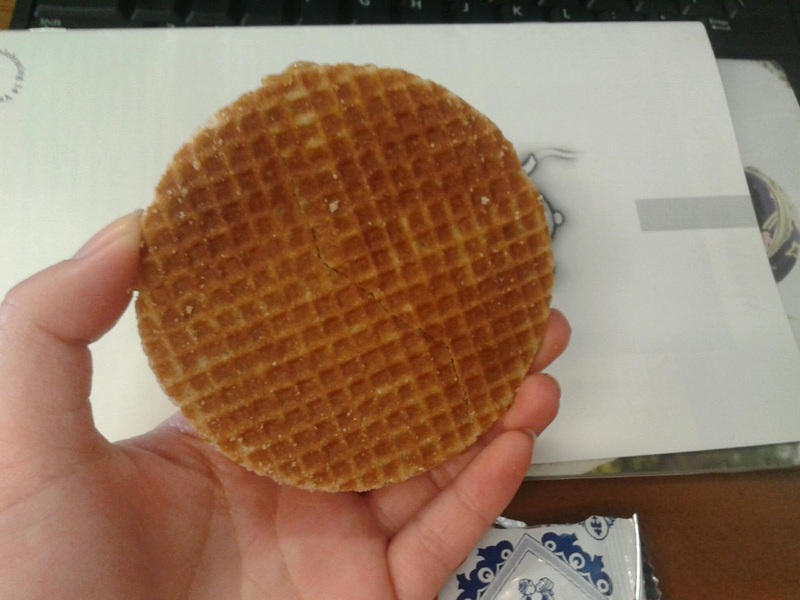 As you can see from the back wrapper of this Stroopwafle, its usually served with coffee or another hot beverage. I guess you're supposed to put it on top of a mug (that would fit and not have the treat fall into it) so the heat can melt the caramel inside as I have done below. 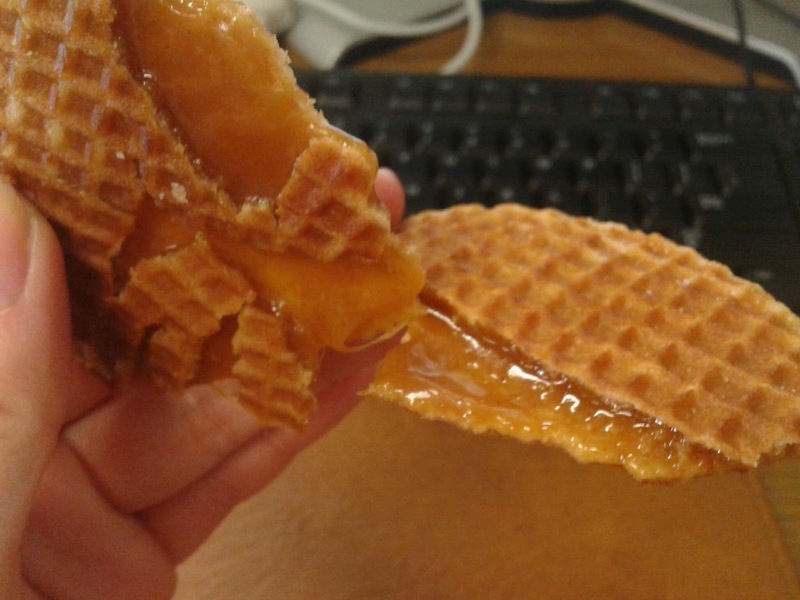 And as an end result, you can see caramel inside melt down and become a creamy consitency. 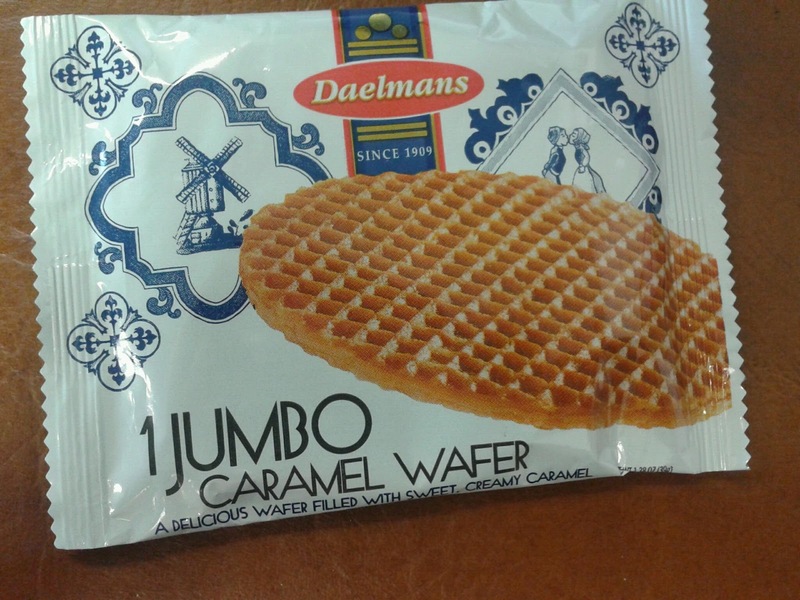 I received this item as a sample. 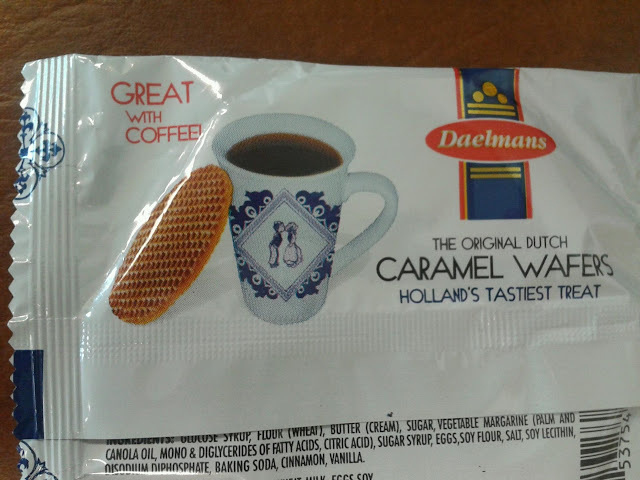 click HERE for Strropwafel selections.